The hound had escaped his collar Wednesday morning when he started chasing a group of deer in Talbot County. EASTON, Md. (AP) — A police dog who was missing after taking off after some deer on Maryland’s Eastern Shore has been found. 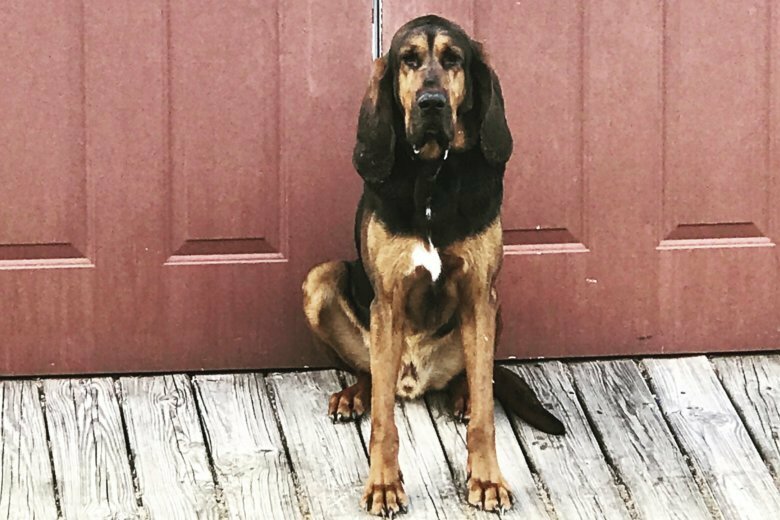 Maryland State Police spokesman Ron Snyder said by telephone Friday that a tipster spotted Gunner, a bloodhound, on Thursday not far from where he went missing in Talbot County a day earlier. Gunner is back home and in good health, Snyder said. The hound escaped his collar and chased a group of deer he spotted as he was walked from his handler’s home on Wednesday morning.